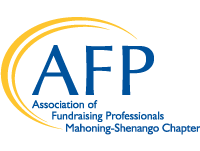 The AFP Mahoning-Shenango Chapter offers this job posting service for members and non-members in Ohio and Western Pennsylvania. The job posting will remain on our website until a date specified by the requester or until the job is filled. Once the job posting has been received, we will add to our website, Facebook page and send an email blast to over 1000 addresses in our mailing list. If you have any questions, contact AFPMASH at afpmash@gmail.com or Kimberly Deichert at (571) 212-7553 (cell). This service is free for AFPMASH members or members of another AFP Chapter. For non-members wishing to post on our website, a fee of $26 per posting via PayPal is required. This amount includes a small processing fee. 1. Select the number of job postings below & submit payment via PayPal. 2. Complete the Jobs Posting Form and submit.